Vic Chou announced his marriage to actress Reen Yu on November 10, one day before China’s Single’s Day. (Though that wasn’t intentional — it was just the one day they and their witnesses had time to register their union.) They’ve been together for four years, and in true Zai Zai fashion, he popped the question when the two were eating together at home. There hasn’t been any news on their upcoming wedding ceremony, but Zai Zai did share that he does not intend to invite the other F4 members, nor any other people from the entertainment industry. However, his bachelor party might be a different story. Congratulations to the two of them anyhow! 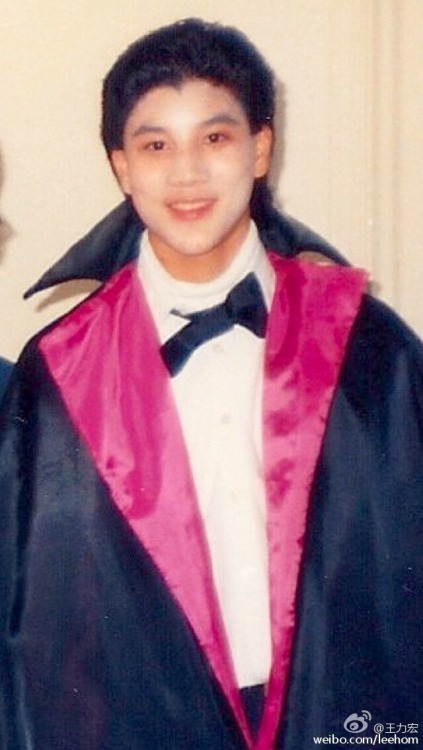 Skipping back in time a little, Wang Leehom shared a photo of his teenage self dressed as Dracula for Halloween. I think the scariest thing about this picture is the fact that he looks more or less the same now, 25 years later. Today, Mom sent me a picture of my vampire costume for Halloween from when I was 14 years old! Happy Halloween! 林俊杰: 剛剛為了健康檢查吃了瀉劑，這樣就不會有怪味道了! Cover your noses! 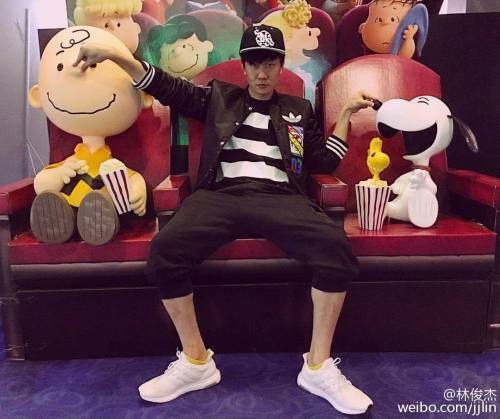 JJ Lin posted an adorable photo of himself with the cast of the Peanuts movie, which opened November 6 in China. It’s been really cute seeing him fanboy over Peanuts and the more recent Star Wars Episode VII: The Force Awakens. Just ate laxatives for a physical examination. This way, there won’t be any strange smells! Cover your noses! Who made this picture? What’s so funny? On December 5, Jimmy Lin and family welcomed two new baby boys into the Lin clan. 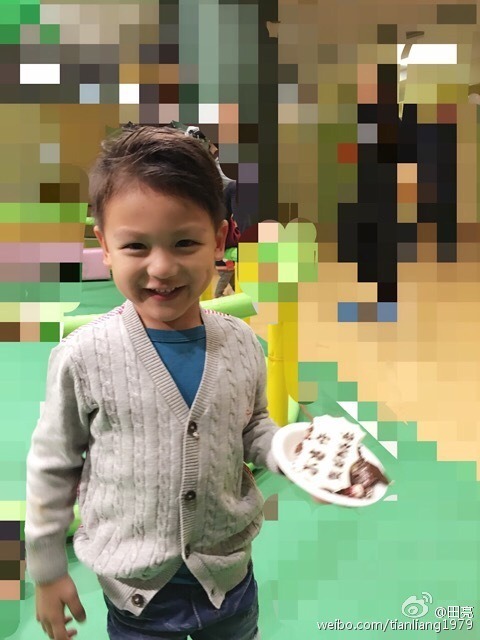 That’s three sons for Jimmy and wife Kelly Chen, who already have six-year-old Kimi Lin. The twins are called Jenson and Kyson. Peter Ho announced that he was in a relationship in mid-December. His girlfriend is reportedly named Peggy, and they’ve been dating for 8 years but have kept it under wraps. This entry was posted in Miscellaneous and tagged Han Han, Jenson Lin, Jimmy Lin, JJ Lin, Kyson Lin, Peter Ho, Reen Yu, Tian Liang, Tian Xinchen, Vic Chou, Wallace Huo, Wang Leehom, Weibo Wednesday by Jo. Bookmark the permalink. Tian Liang’s son looks a bit mixed. I’ve been watching the Hunan TV game show with Tian Liang. He’s actually one of the smartest contestants on there. It’s not fair he’s athletic, good-looking, nice, and smart. It’s unfortunate he can’t act, or else I bet he would have all the fangirls. Also, given that almost everyone’s had a second child, can season 1 of Where are we going? Dad reunite please for a second season? did you see that HuGe admit his relationship too? I saw the clip of 鲁豫有约 right after too. 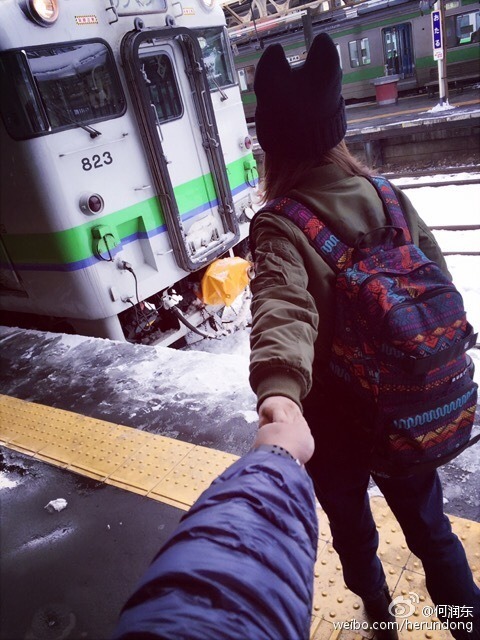 It felt like wrong timing….